Theft is prosecuted under various California penal Codes depending on the circumstances of the charge. Petty theft is prosecuted under California Penal Code Sections 484 & 488. Penal Code Section 484 is a general theft heading and includes many degrees and specific theft sections. Petty theft, such as shoplifting, (Penal Code section 488) is one of the lesser degrees of theft. PC 488 may be charged as either a misdemeanor or an infraction. All theft is the taking of someone’s property with the intent to permanently deprive him or her of it. The major difference between petty theft and grand theft (California Penal Code Section 487 PC) lies in the type and value of the property that is claimed to have been stolen. A violation of Penal Code Section 484, also known as a “Petty Theft,” is a significant criminal offense that has far reaching consequences. These consequences can include jail time, probation and extensive fines. In order to prove that a person is guilty of petty theft, the prosecution must prove that the suspect took possession of property owned by someone else and the suspect took the property without the owner’s consent. It must also be proven that when the suspect took the property he or she intended to deprive the owner of it permanently and the suspect moved the property (even a short distance) and kept it for any period of time, however brief. California Penal Code Section 488 is described as petty theft but of a lesser degree and is the stealing of goods worth less than $950. A common example of petty theft charged under Section 488 is shoplifting and this terminology is often times used interchangeably with petty theft. 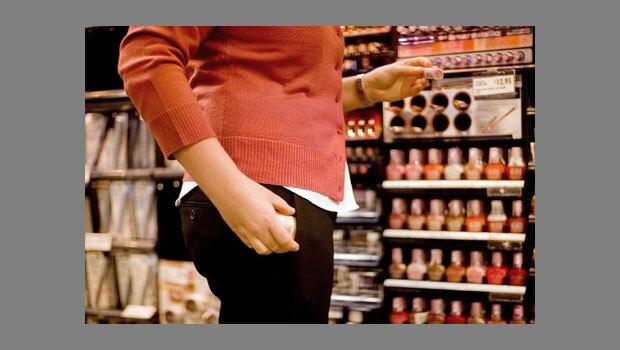 Although shoplifting is only a misdemeanor, it can result in a permanent criminal record. Petty theft is punishable by fine not exceeding one thousand dollars ($1,000), or by imprisonment in the county jail not exceeding six months, or both. If you have been arrested for a petty theft crime please call our Los Angeles Criminal Lawyers.